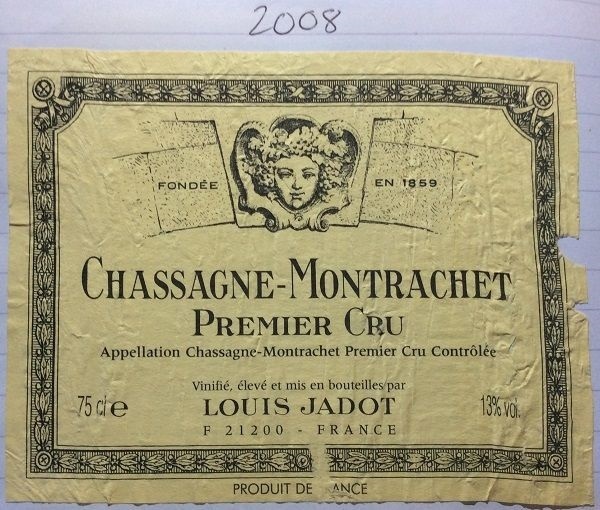 The cellarmaster at Jadot apparently put this together as a response to the Credit Crunch, as a ‘value’ 1er Cru cuvée. In which case it’s worked pretty well. Nice on Saturday lunchtime – albeit a touch young. Medium lemon colour. Medium intensity, lemon, chalk, blanched almond, coconut hints, grapefruit peel, and a hint of creamy butter. Quite ‘hard’ acidity – needs 2 years to soften – but has concentration and intensity to develop. Flavours of slightly unripe lemon, cold butter and flinty minerality. Quite Chablis-like, but perhaps with more butter / richness. Let’s see in 2 more years!